Whether you are planning to move in or out of Haddon Heights, NJ, Optimum Moving can help you make a safe and secure relocation without any hassle. We have the necessary expertise in executing both residential and commercial moves of all scales. If you need a low moving quote for your relocation in Haddon Heights, we will not disappoint! Haddon Heights is a borough in Camden County with a total area of more than 1.5 square miles. This city was named after Elizabeth Haddon, a prominent early settler in the area. Haddon Heights is often ranked among the best places to live in South New Jersey. There is no sale of alcohol in this dry town. Notable attractions include Haddon Heights Baptist Church and the Park. In Haddon Heights, an average house can cost you around $254,792 and generally features three bedrooms. Renters, who comprise 21% of the total population, tend to stay in the city for a period of four years on average, whereas the owners of houses and condos live here for an average of 18 years. Research has also shown that the residents of Haddon Heights stay here for a long period of time, with 73% of its 7,428 residents residing in the same house for an average of five years. At Optimum Moving, we strive to provide a satisfying experience to all our customers with our hassle-free moving services. Whether it is a long distance move or just a move across town, our team of professional movers are well trained in handling all sorts of relocation tasks. We keep ourselves updated with the latest innovations in the moving industry and we have a robust set of modern moving equipment to handle both heavy and fragile items during the moving process. Try us today for a trouble-free move in Haddon Heights! 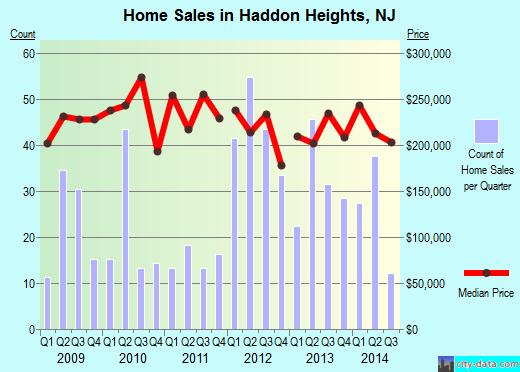 Want to learn more about a Haddon Heights Move?